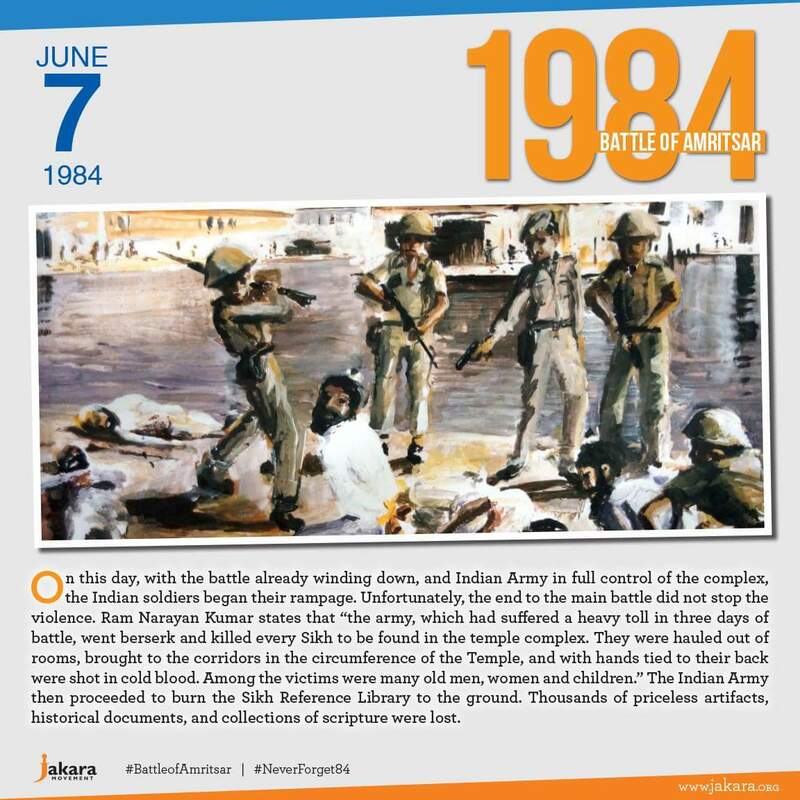 June 7, 1984: On this day, with the battle already winding down, and Indian Army in full control of the complex, the Indian soldiers began their rampage. Unfortunately, the end to the main battle did not stop the violence. Ram Narayan Kumar states that “the army, which had suffered a heavy toll in three days of battle, went berserk and killed every Sikh to be found in the temple complex. They were hauled out of rooms, brought to the corridors in the circumference of the Temple, and with hands tied to their back were shot in cold blood. Among the victims were many old men, women and children. ” The Indian Army then proceeded to burn the Sikh Reference Library to the ground. Thousands of priceless artifacts, historical documents, and collections of scripture were lost.